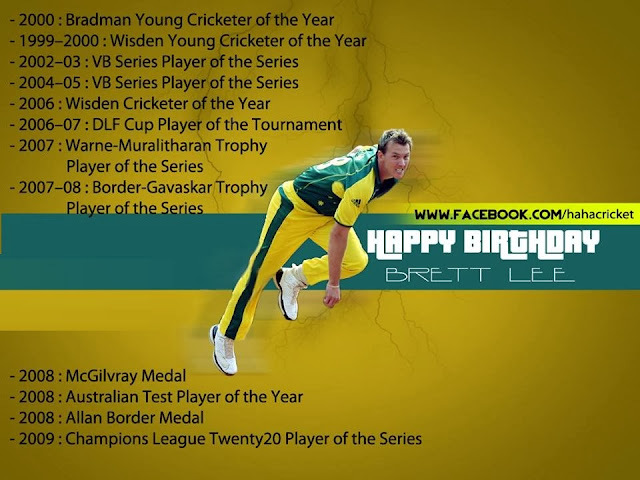 One Of World's fastest and best bowler in Cricket history Brett Lee of Australia is celebrating his 37th Birthday on 8th November. Lee was born on 8th November 1976 in Wollongong. Brett Lee retired from International Cricket in July 2012 after 13 years of his career. He taken 310 wickets in 76 tests and 380 wickets in 221 ODIs. 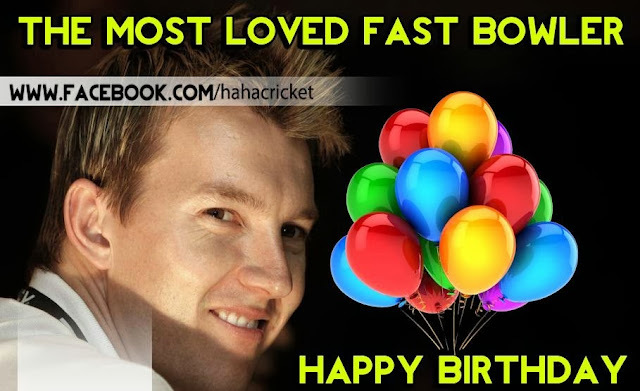 Brett Lee was World's second most fastest bowler ever after Shoaib Akhtar in cricket history. he played a Important role in Australia's World Cup victories of 2003 and 2007.